Lewis Black's live performances provide a cathartic release of anger and disillusionment for his audience. Lewis Black: "Black To The Future": a double CD set with 2 full length stand-up comedy programs. 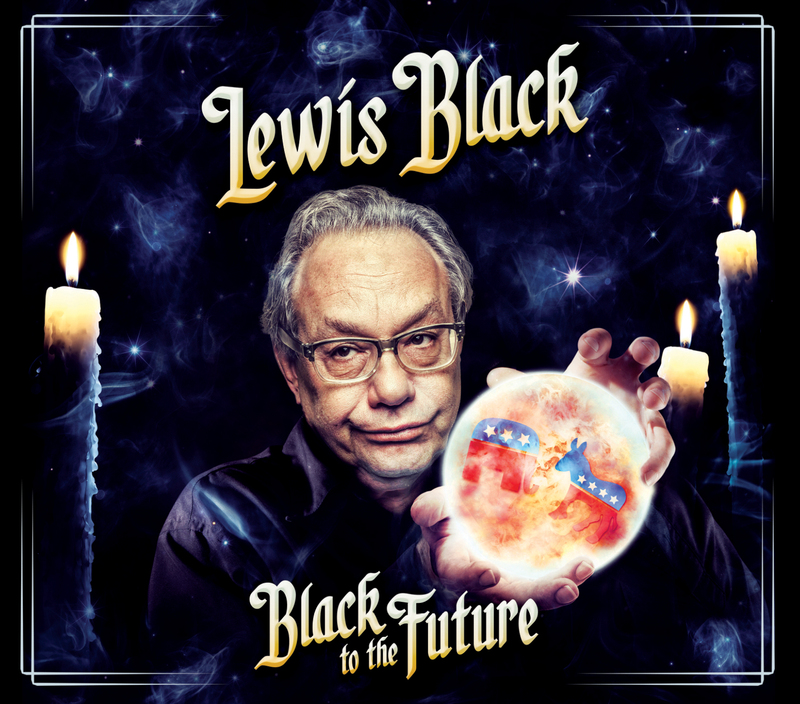 Disc 1 contains the main program, "Lewis Black: Black To The Future" - 47 Minutes - Recorded Live in NYC - Known as the king of the rant, Lewis uses his trademark style of comedic yelling and animated finger-pointing to skewer anything and anyone that gets under his skin. His live performances provide a cathartic release of anger and disillusionment for his audience. A passionate performer who is a more pissed-off optimist than mean-spirited curmudgeon, Lewis is the rare comic who can cause an audience to laugh themselves into incontinence while making compelling points about the absurdity of our existence. Listen as Lewis sheds light on this crazy, messed-up world. Disc 2 contains a second full length program - Lewis Black: "This Should Have Been A Special" - 65 Minutes - Recorded Live at Milwaukee's historic Pabst Theater in 2016. It is the comedy set that was almost lost. Disc 2 contains a second full length program - Lewis Black: 'This Should Have Been A Special' - 65 Minutes - Recorded Live at Milwaukee's historic Pabst Theater in 2016. It is the comedy set that was almost lost.